I watched his film (w/ my mom) this past week at AFI in Silver Spring, MD (theater across the street from my current apt). 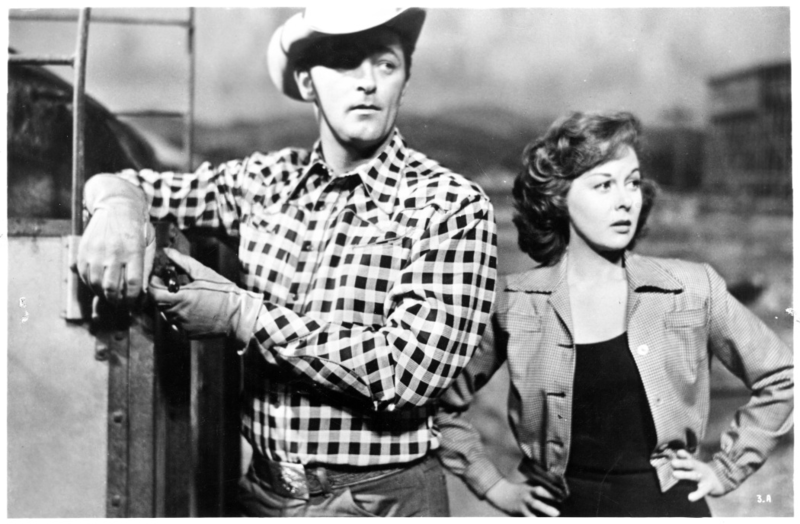 I’d seen it before (on TCM), BUT let’s face it- Mitchum is a big man meant for the big screen. This film was shot on location in the Caribbean (Trinidad and Tobago) in Cinemascope. This film is rightly compared to The African Queen w/ a female being a religious missionary and a hell-raising male thrown together in wartime. The African Queen was set during WWI; this film is set on a small Pacific island in WWII. John Wayne, Kirk Douglas, Clark Gable and Marlon Brando all wanted to play, or were sought for, the part of Mr. Allison before Robert Mitchum was cast. Mitchum worried that Kerr would be like the prim characters she often played; after she swore at director John Huston during one take, Mitchum (who was in the water) almost drowned laughing. The two actors were friends until Mitchum’s death in 1997. Deborah Kerr is a nun who hasn’t yet taken her final vows. 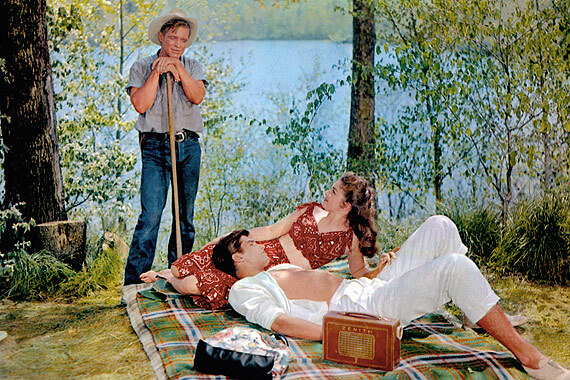 Being alone on the island with Mitchum is a temptation, no doubt- LOL! At that time, the Catholic church imposed strict censorship laws on films dealing with religious situations/characters. In the original book by Charles Shaw (inspiration for this film), the marine and the nun fell in love. Huston created a resolution in which the marine and nun gain strength, hope and determination from each other. There’s a great parallel between Cpl. Allison and the Sister. Each dedicated themselves to their respective vocations- he is dedicated to the Marines; she is dedicated to the Catholic Church. 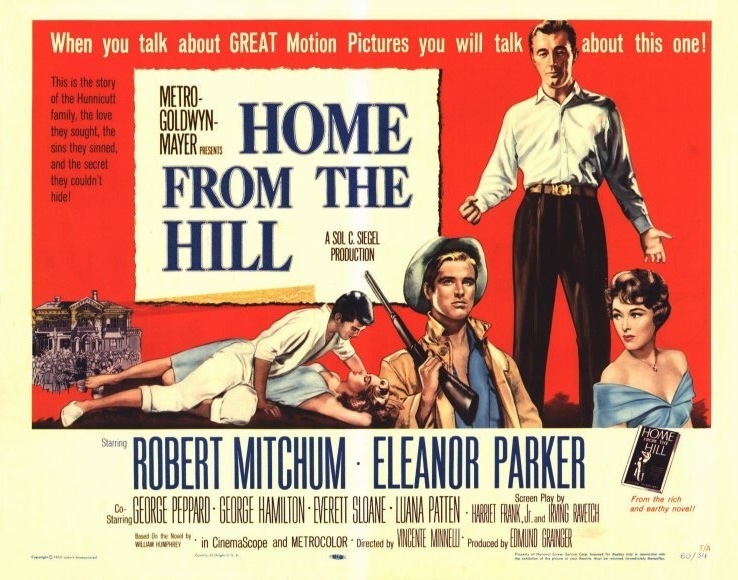 Mitchum shows what depth and sensitivity he could bring to a part. Kerr earned an Oscar nom! The script called for several Japanese-speaking officers and a company of troops to be on the island. There were no Japanese men on the islands of Trinidad and Tobago; a few who spoke the language were eventually found in an emigrant community in Brazil. For the non-speaking Japanese troops, 50 Chinese men (who worked in the restaurants and laundries of T&T) were hired. Some locals were upset b/c work didn’t get done while these men had their 15 mins of fame. If you are looking for a movie with heart and real content, this could be perfect. The acting is top-notch, as is the cinematography. The plot flows beautifully and holds your attention to the very end. It’s the subtlety that makes this film work they way it does. Mitchum- an actor who only really has one persona, and yet is a good actor all the same. 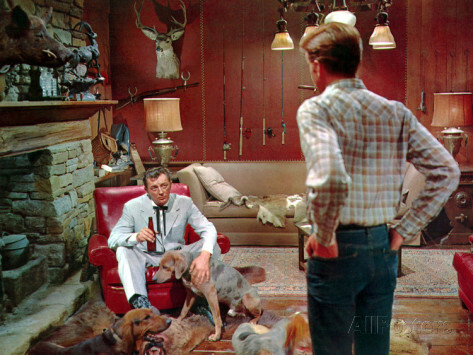 It didn’t matter whether he was playing… he was still the same sturdy, laconic Robert Mitchum. But within that one persona, he has a full range of expressiveness and credibility. This is among his best performances. Kerr- she conveys every thought and emotion through tiny gestures, facial twitches and changes in posture. Above all, she brings a very warm and believable character out beyond the stereotype. The dialogue is among the best and the long string of coincidences make this film charming, not clichéd. Surprisingly quirky film isn’t the least bit obvious or clichéd, and Janet’s sceen-relationship with Gordon Gebert, the likable youngster playing her son, is very well handled. Wendell Corey is excellent as the fiancé; he turns this very practical character into a sympathetic one and there are times you’re not sure who you want to win — or lose — Leigh’s hand. This is one of my (new) holiday faves; I discovered it (thanks to TCM) about 5 yrs ago. A few days before Christmas, comparison shopper Connie Ennis (Janet Leigh) buys a train for work, BUT her 7 y.o. son Timmy (Gordon Gebert) finds it and assumes that it’s for him. When Connie goes back to the department store to return the train the next day, clerk Steve Mason (Robert Mitchum) quickly figures out her real purpose. He doesn’t turn her in to management, which gets him fired. They end up spending most of the day together, which Connie doesn’t reveal to her suitor of 2 yrs, Carl (Wendell Corey), a divorce lawyer. Romantic complications follow. Also, look out for Harry Morgan (best known for M.A.S.H.) who plays a bemused police lieutenant. In the kitchen scene, Mitchum gives Leigh a sudden, passionate kiss. 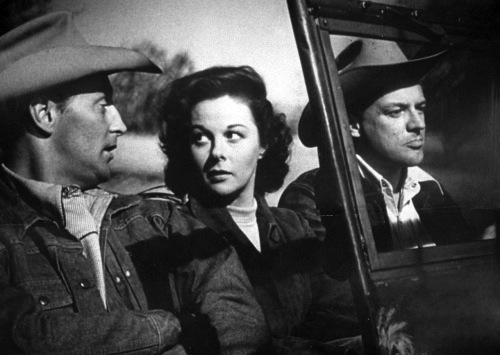 Leigh said: “The expression that is on my face of being overwhelmed was for real.” Mitchum explained: “I wanted to make the kiss memorable, as though the characters were never going to see each other again. The perks of being an actor are, at times, not bad.” Leigh enjoyed working with both Mitchum and Corey; the set was a relaxed and happy one (where BOTH men were full of practical jokes). Great art transcends time, but The Night of the Hunter has not lost an iota of relevance (or quality). Robert Mitchum is fantastic, but Lilian Gish steals it for me. I saw this VERY effective (and a BIT scary, even for adults) film for the first time recently on TCM. It was directed by actor Charles Laughton, who hit it out of the ballpark on his first (and only) try. It was a box office failure, perhaps b/c it seems way ahead of its time (as several critics/viewers have written). Spike Lee paid homage to this film, which is one of his faves, in Do The Right Thing; Radio Raheem wears love-hate on his knuckles. Mitchum is tremendous in the title role, his role is larger than life and was also slightly playing with fire in it’s portrayal as a reverend as corrupt or evil. Chapin is really wonderful as young John and has a much better character than some of the others in the cast. Winters is good in her performance. Lillian Gish is another luminous presence in the film because she projects no-nonsense kindness and sweetness toward the children she takes into her home. Later on in life, Mitchum said that Laughton was his favorite director and this was his favorite role. Laughton originally offered the role of Harry Powell to Gary Cooper, who turned it down as being possibly detrimental to his career. In this parable of good and evil, Harry Powell is the ultimate boogeyman – a relentless, nightmarish force who preys on children and it is even suggested by John that he doesn’t even sleep. …he often casts imposing shadows and is sometimes seen as a lone figure in the fog, almost a mythical force of terror. It’s the time of the Great Depression somewhere in the Midwestern U.S. In the process of robbing a bank of $10,000, Ben Harper (Peter Graves) kills two people. Before he is captured, he is able to convince his son, John, and very young daughter, Pearl, not to tell anyone, including their mother, Willa (Shelley Winters), where he hid the money (inside Pearl’s cloth doll). Ben is captured, tried and convicted. Before he is executed, Ben is put in the state penitentiary with a cellmate, Harry Powell (Robert Mitchum), who calls himself a preacher (and dresses as such). However, he is really a con man and murderer, swindling rich/lonely widows before killing them. Harry does whatever he can to find out the location of the $10,000 from Ben, but is unsuccessful. After Ben’s execution, Harry decides that Willa will be his next mark, figuring that someone in the family knows where the money is hidden. Despite vowing not to remarry, Willa ends up being easy prey for Harry’s outward charms. Her gullible older friends/neighbors (The Spoons) help convince her that a husband is a MUST to help raise kids.